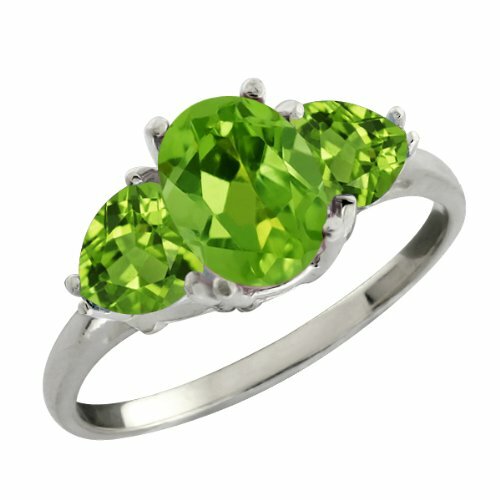 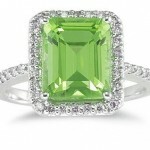 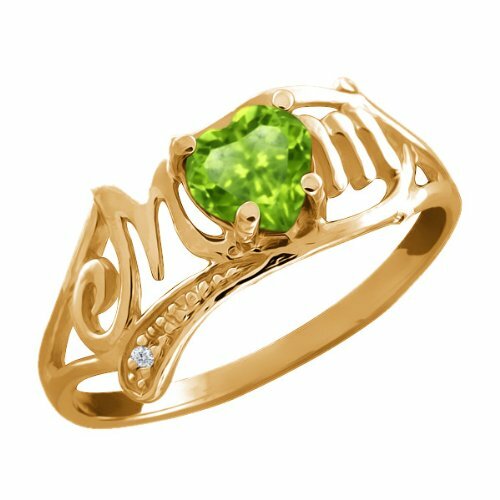 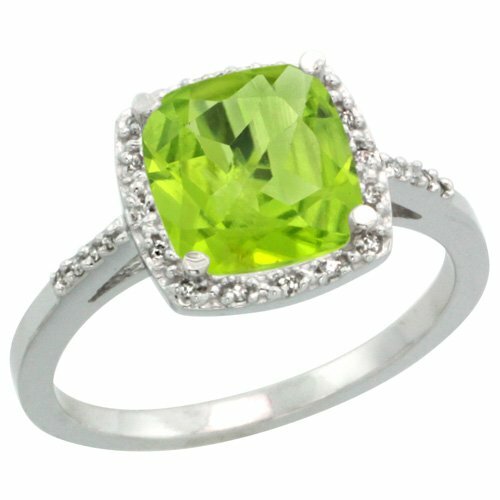 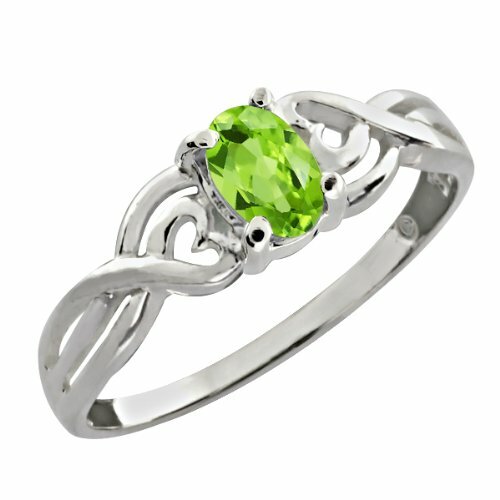 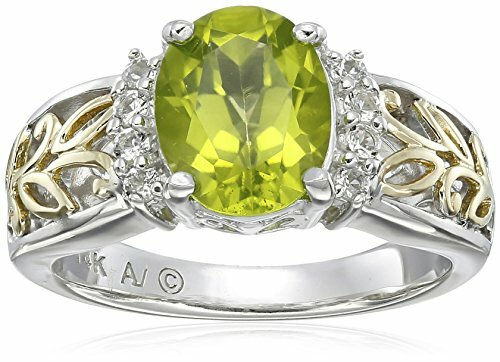 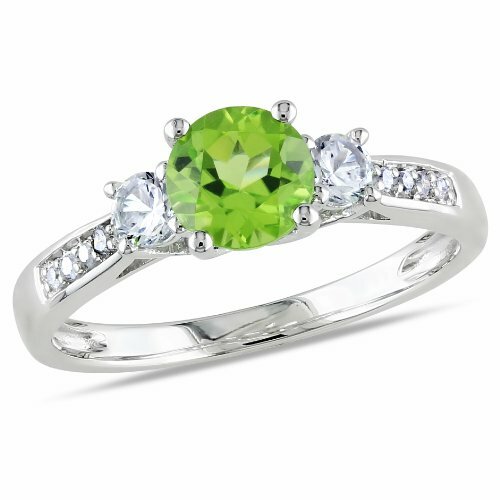 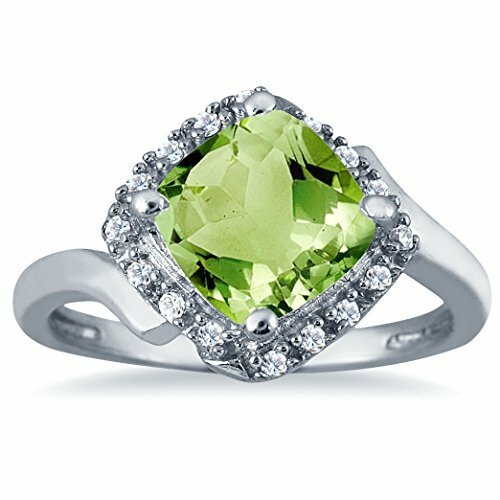 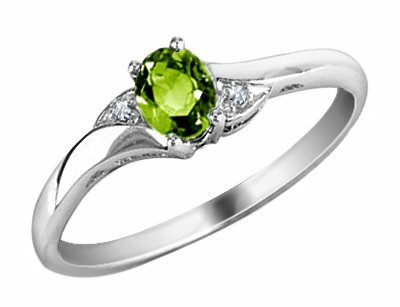 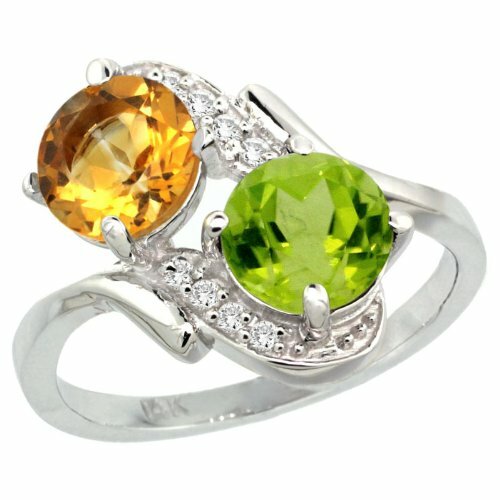 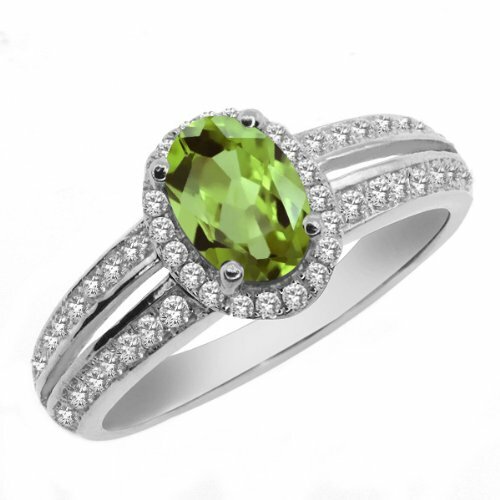 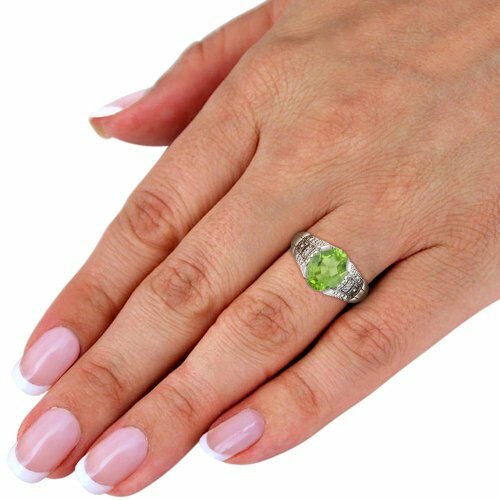 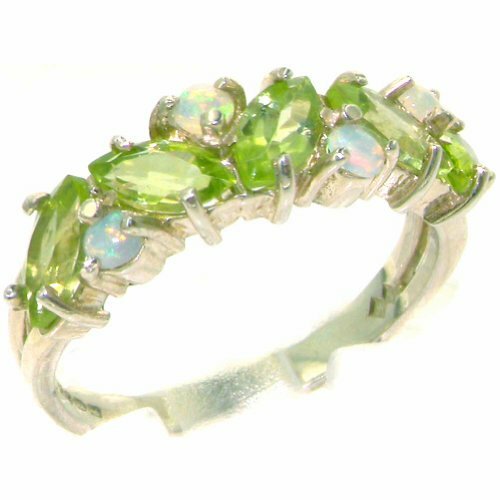 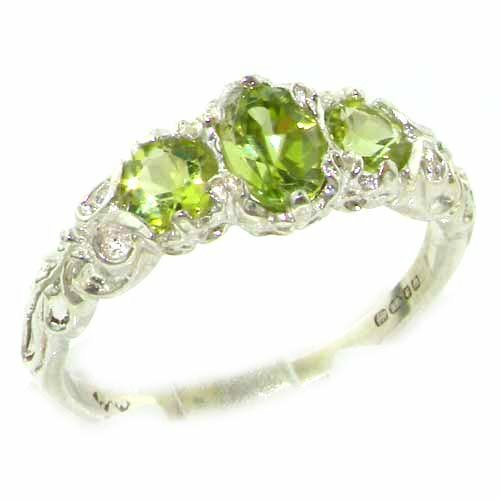 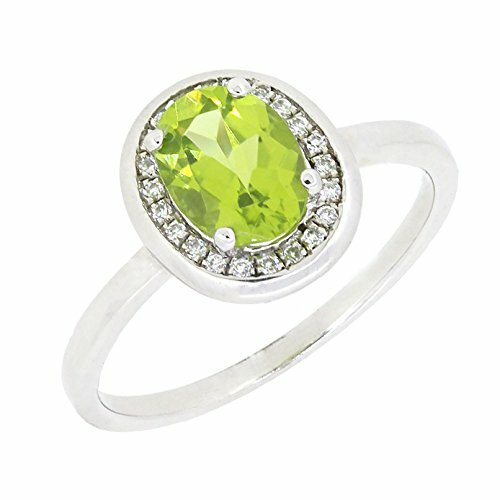 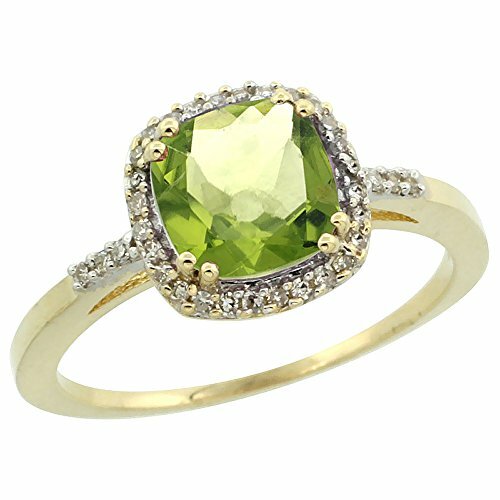 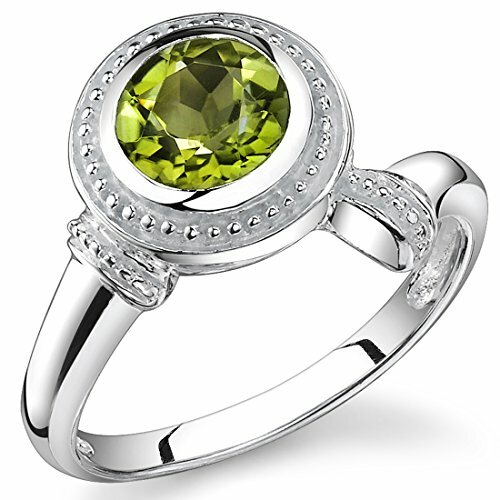 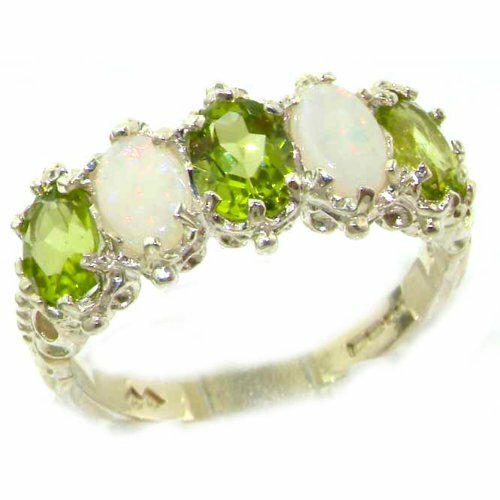 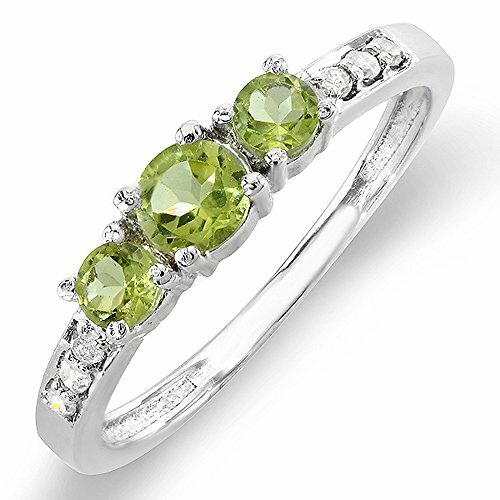 Gorgeous peridot and diamond ring perfect for any occasion. 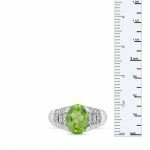 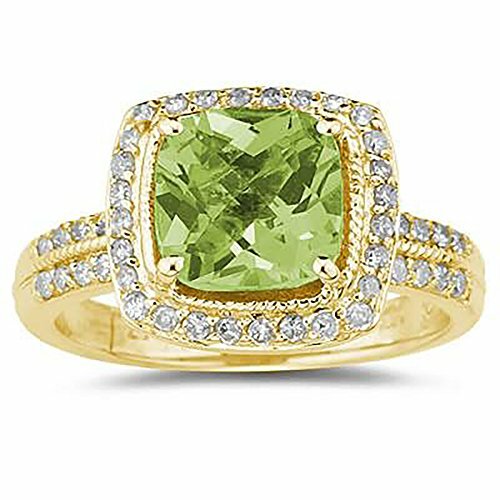 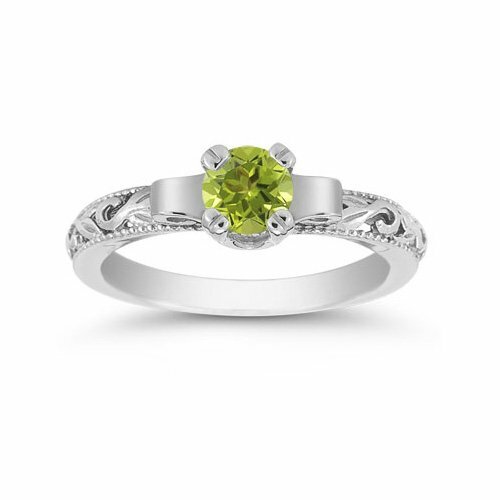 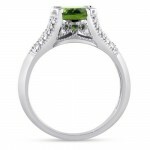 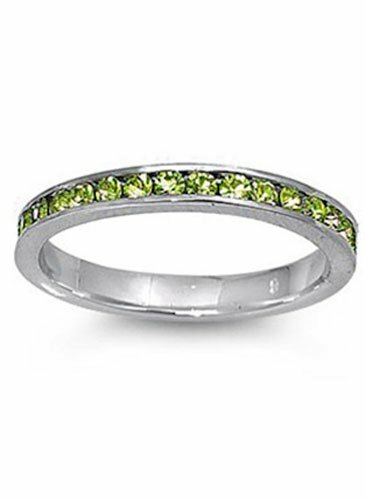 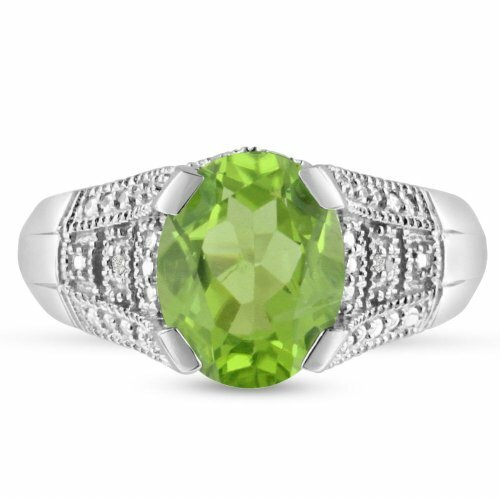 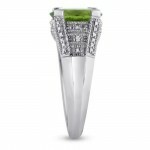 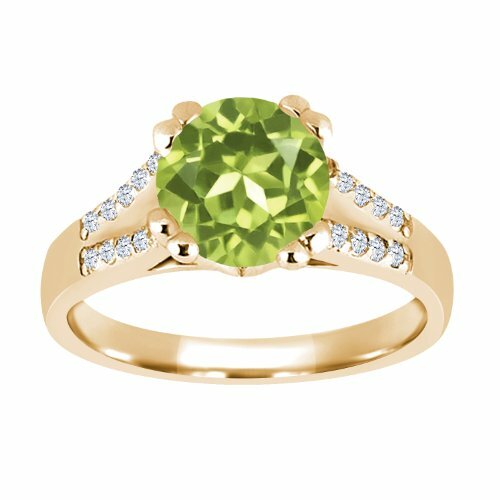 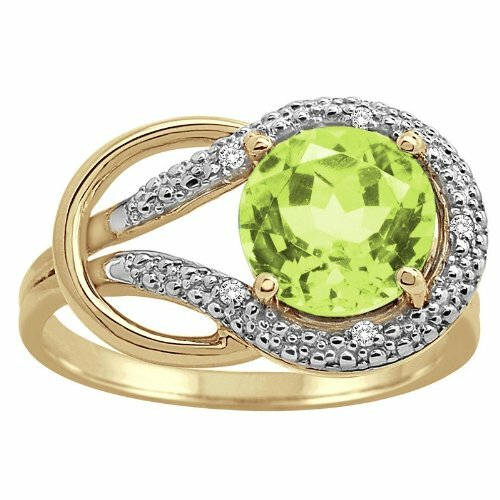 This ring features a 2 1/2ct oval cut peridot stone, surrounded by a halo of diamonds. 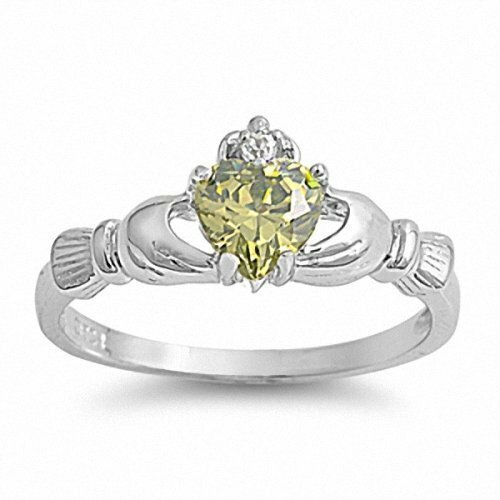 This ring is set in an antique style, perfect to give an elegant touch. 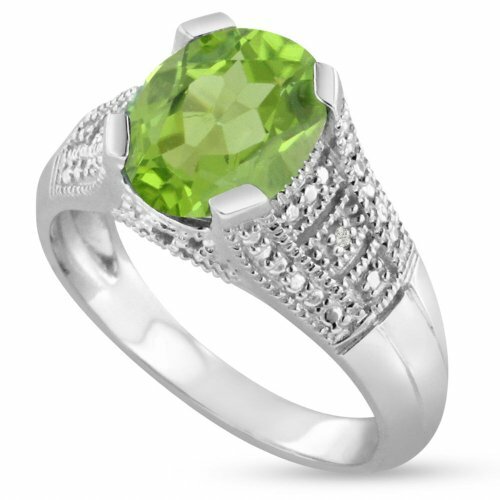 This ring is crafted in solid sterling silver and is available in ring sizes 4.5-9. 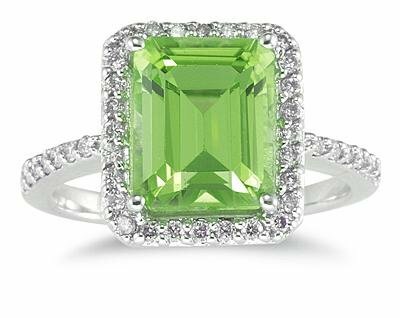 All diamonds are rare, natural minerals. The semi-faceted diamonds in this item are natural. 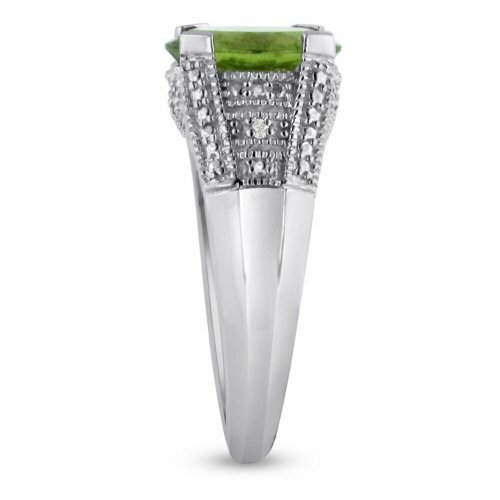 Many jewelers would call these diamonds rose-cut or diamond chips. 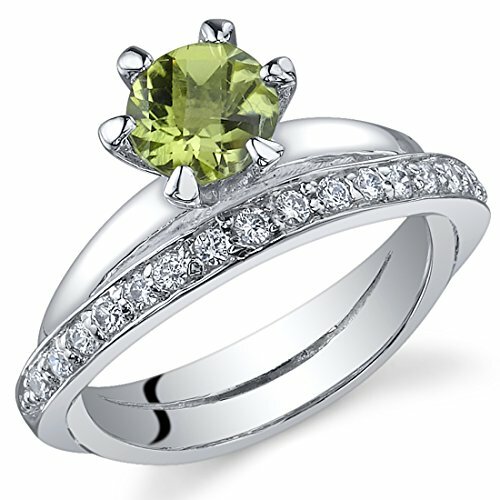 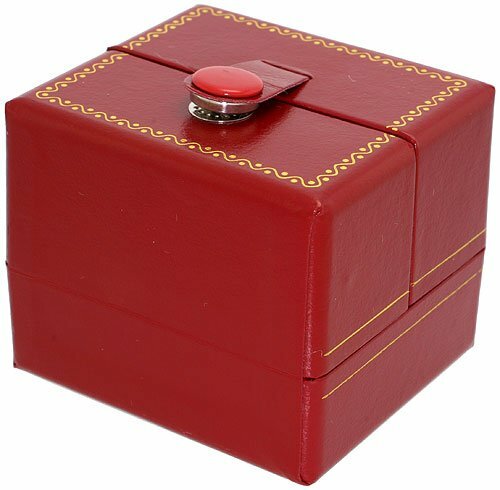 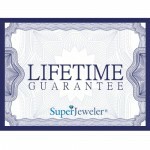 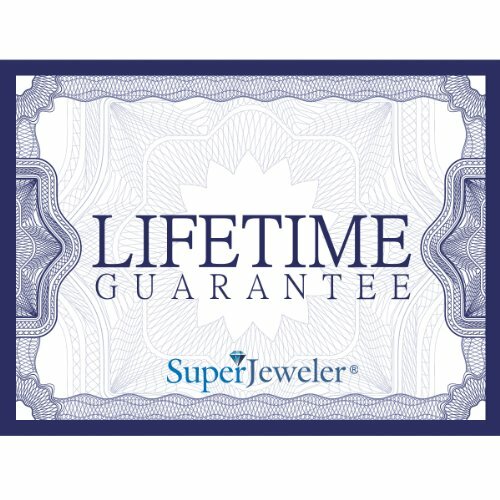 The diamonds in this jewelry item are of not of gem quality, and contain from 0 to 16 facets. 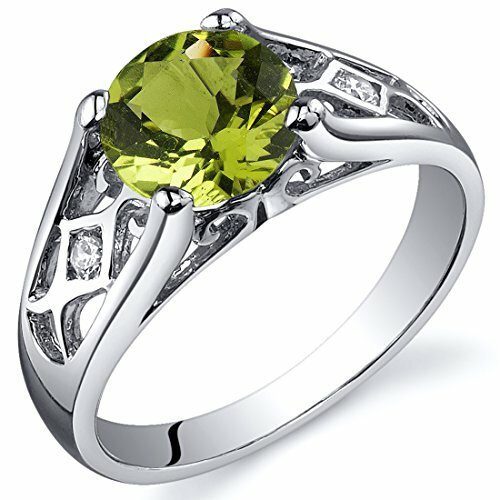 Peridot is a member of the forsterite-fayalite mineral series. 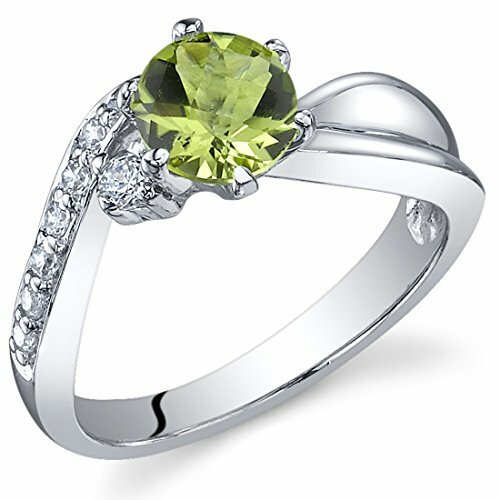 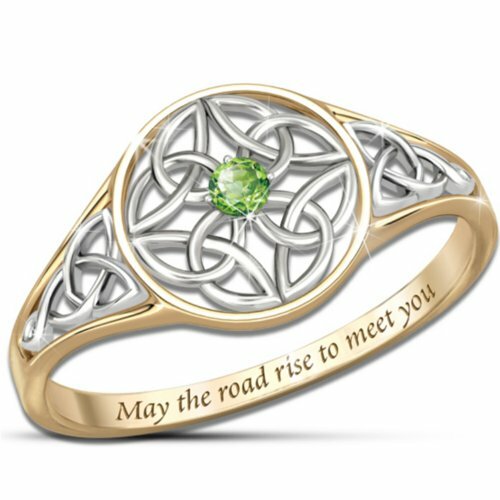 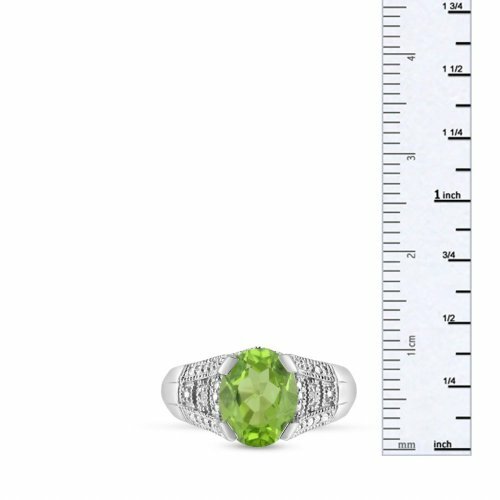 There are no know enhancements of peridot to improve its color or clarity. 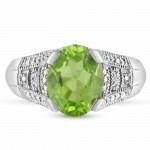 SuperJeweler sells natural, untreated peridot.